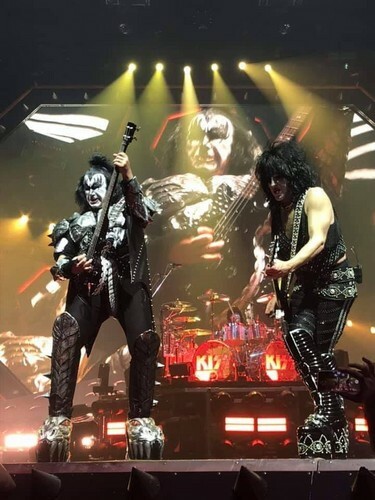 Paul and Gene ~Uniondale, New York...March 22, 2019 (NYCB LIVE's Nassau Coliseum). . HD Wallpaper and background images in the 폴 스탠리 club tagged: photo kiss paul stanley eric singer tommy thayer gene simmons uniondale new york march 22 2019 nycb live's nassau coliseum.